At college-linked retirement communities, many of the residents are retired professors or alumni of the college or university, but this is usually not a requirement. Anyone looking for intellectually stimulating programs will be involved in finding these schools. Making it convenient to maintain lifelong learning is the purpose of these communities. Many university-linked communities also will provide an assisted living option. Many other communities that are not formally college-linked are near colleges. They have attractive lifelong learning programs. These programs provide vital mental stimulation for the senior years. Also, see our new article about libraries in the digital age and programs for seniors. Recent evidence shows that the brain can be helped to keep young with lifelong learning programs. These programs, proven to aid longevity, possibly keep the brain from memory diseases. Research is on-going. If one wishes to live in a college-linked community, be sure to carefully study their restrictions and financial arrangements. Research shows that many people wish to return to the towns they enjoyed during their college years for their retirement. Residents at Campus Continuum over 55 communities on college campuses have access to programs and facilities of the college, seminars and programs. There are paid jobs and/or volunteer opportunities. In most cases, there is a Dean of Programs who coordinates relations between the college and residents. By going to their site, you can see proposed future communities and plenty of detail about them. Check out their excellent articles in the resource category. Longview at Ithaca College, Ithaca, NY - According to the Milken Institute, Ithaca is one of the best small cities for healthy aging. It offers many programs in the five schools at Ithaca College. This community offers independent apartments, patio homes and assisted living. Overlooks Cayuga Lake. 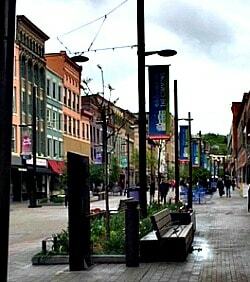 It also has an active college town since Cornell University is also located here. Rents listed on the website. Addington Place at College Harbor - Eckerd College - College Harbor Retirement Community - Independent living close proximity to Eckerd College with lifelong learning programs. Capstone Village - University of Alabama - Rental options available with no large entrance fees - Amenities include Wellness Center, dining, social activities. University of Central Arkansas, Conway, Arkansas - Independent Living. Another type of retirement community that can provide academic stimulation is one that is near a college and has a close connection with the school but is not a college-linked retirement community. At communities in or near colleges you do not have to go very far to do the thing you love the most -- reading, learning, libraries, discussions with stimulating people, interacting with young people and much more can be a short and convenient walk away. The Kendall continuing care communities (Quaker traditions) have a natural affinity to lifelong learning. Most have an informal association with area colleges. Pennsylvania: Kendal at Crosslands CCRC - adjacent to Longwood Gardens and near Univ of Delaware, Haverland and Swarthmore colleges. Kendall in Bucks County: Chandler Hall - Independent with many Personal care options - Apartments and cottages. Ohio: Kendal at Oberlin CCRC - one mile to Oberlin College and music conservatory. Virginia: Kendal at Lexington CCRC near Washington and Lee and Virginia Military Institute. Maryland: Collington - Connections with local community college - take as many college courses as you choose in a year for a small fee. 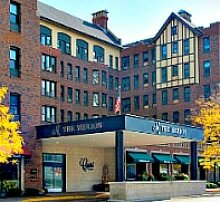 The Merion - Evanston - North Shore of Chicago - Senior rental community that includes meal plan and housekeeping - Lifelong learning programs at Northwestern University just 4 blocks away. Also clubs and discussion groups. Studios, 1- and 2-Bedroom apartments. Rents start $2400./month (verify as rents can change) with 13-month lease (verify). Rhode Island: Brown University in Rhode Island has an adult education program called the Brown Community for Learning in Retirement offering learning experiences for retirees living within commute distance of Providence. Courses are held at Brown. 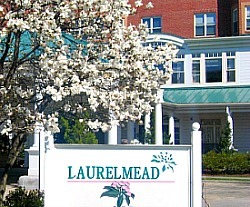 Laurelmead Retirement Community, located near Brown in Rhode Island, has a course connected to Brown as part of their "Laurelmead College" program. At Laurelmead more of their residents matriculated at Brown than at any other college. Several residents are on Brown's faculty but residents who are alumni of many other schools reside there as well. Making it easier to reside there is that there are no educational requirements. So, regardless of educational background, residents continue education and learning. Another alternative to college-linked communities is the college town. Studies show that many seniors return to the towns they attended college in because of the association with happy times. Most state supported colleges will allow seniors to audit classes free or reduced cost but check with the college to make sure. 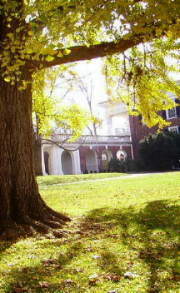 University of Tennessee in Knoxville - University Outreach and Continuing Education University Outreach . "Seniors for Creative Learning" Community: Various assisted living and continuing care in area. Brown University - Laurelmead Retirement Community has connections to Brown University in Providence, Rhode Island. Brown has an adult education program called "Learning in Retirement" for seniors within commute to Providence. 150 co-op apartments. Clemson University - Osher Lifelong Learning Institute Community: Various assisted living and continuing care in area. University of Georgia - Athens - A college town - Community: Various assisted living and continuing care communities such as Iris Place by Holiday Retirement Corp. Also, Sterling Mills Retirement Commmunity - single homes. Various condominiums are being built in Athens with walk distance to the school and affiliated with athletic recreation. University of Southwest - Georgetown, Texas - Senior University, a partnership with University of Southwest, Georgetown, Texas. See Texas in Southwest Category for Communities in Georgetown, Tex. University of Colorado Boulder, Colo.
Stony Brook University Long Island, NY - has Osher Lifelong Learning Institute. If you have not heard of Osher Lifelong Learning Institute, it has lifelong learning programs at 120 colleges and universities across the United States. This is a stimulating program for 50+ adults. For a fee, seniors have access to guest speakers, courses etc for continued learning at the school. See if there is one near your retirement area. Go here to find a OLLI program near you. Ann Arbor; Iowa City; Cambridge; Ames, Iowa; Corvallis, Ore; Palo Alto, Calif; Chapel Hill, NC; Madison Wisc; Ithaca, NY; Santa Cruz, California; Westwood, California; Charlottesville, VA. There are numerous junior colleges also that have programs at retirement communities. Check with the community you are interested in to see if there are any educational programs if there is a junior college nearby. Riderwood - CCRC in Silver Spring, Md., by Erickson is an example of a community having programs with a local community college. Large, active community with apartment-styled units. Entrance fee and monthly fee. Most state-funded colleges allow seniors to audit classes for free or discounted. Ask the college to find out what they have available for seniors. Addington Place at College Harbor, St. Petersburg, Fl. Resources and programs at public libraries.